Let’s face it: no-one likes to think of death, especially their own. It’s not exactly a great conversation starter, is it? Sadly, if you don’t leave a will, the law decides how your estate is passed on – and this may not be in line with your wishes. Your wishes and who carries them out? who will be in charge of organising your estate and following the instructions you leave in your will – this person is called your ‘executor’, and you can name more than one person if you want to. You can also use your will to tell people about any other wishes you have, like instructions for your burial or cremation. Your executor will do their best to make sure your wishes are followed, as long as they don’t involve breaking the law. It might not always be possible to follow your instructions – for example, a person you want to leave something to might die before you do – but if you have a will there’s a better chance of things happening the way you want. 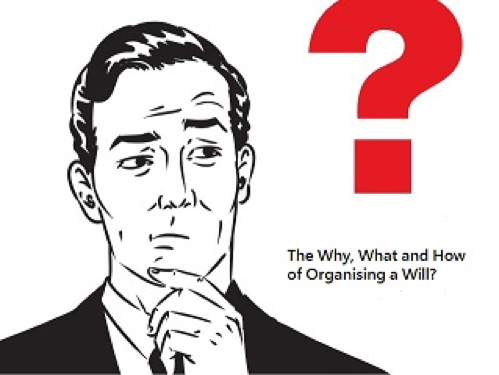 Who should help you create your Will or Estate plan? Whilst a solicitor may become involved, you need someone who knows about you, your family and your financial situation. And the person who generally knows the most about that is your accountant or financial planner. If you do not have an active will in place, there’s no telling who your assets may end up with. Avoid creating stress and conflict for your loved ones, and give yourself the peace of mind in the here-and-now that your affairs are well in order.